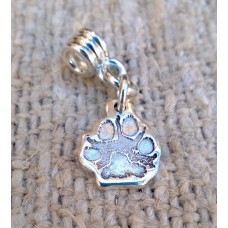 Our Little Paw Print Charms are made using your pet's actual paw print! 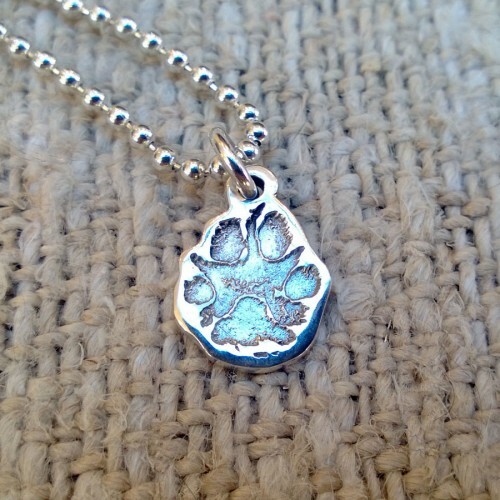 Handmade to order in solid sterling silver, your pet's paw print is reduced in size and then captured in silver and then we shape the charm around your pet's print so each one is unique. There will never be two the same!. The Little Paw-Print Charms are approx. 10mm wide so there isn't enough space to inscribe whole names on the back but we will add your pet's first initial. 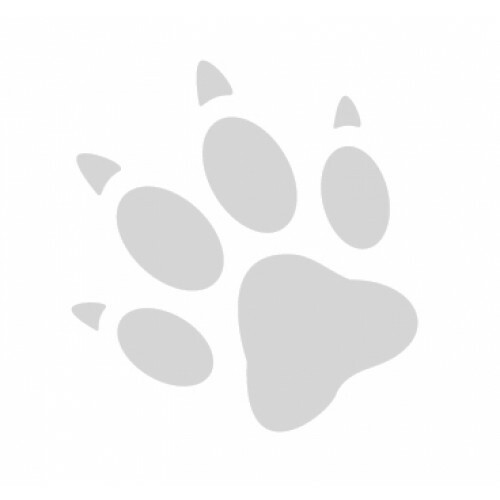 You can either send us your own paw print taken with an ink pad or paint on white paper, or we can send you our special impression paper and inkless wipe. 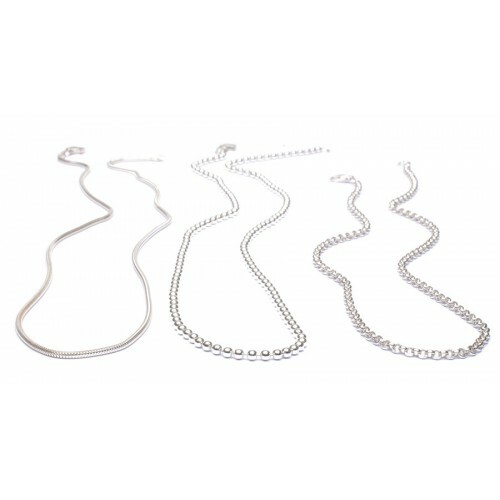 It's completely non-toxic and safe for your pet,in fact, it's the same impression kit we use to take babies hand and footprints for our sister website FingerPrint Jewellery (www.fingerprint-jewellery.co.uk). You can either have your Little Paw-Print Charm just on it's own with just the jump ring attached so you can slip it onto your own chain, or perhaps you have a Pandora Style bracelet in which case you'll love our carriers that are perfect to add your very special charm to your collection. 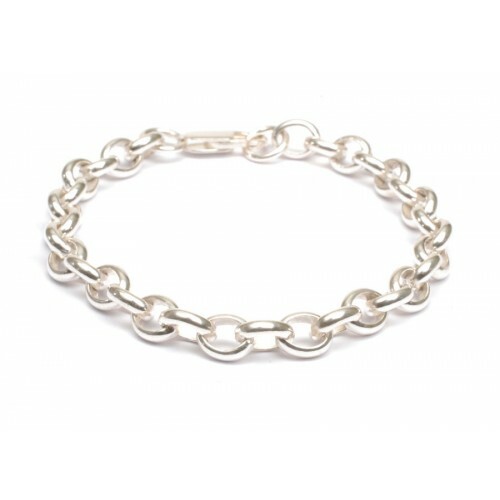 We also have gorgeous Belcher Chain bracelets which are British made for us by the same company who make our chains for FingerPrint Jewellery so you can be sure of their outstanding quality. 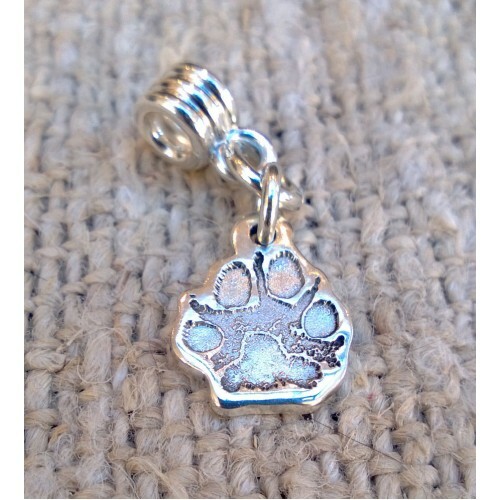 Or Perhaps you'd like to wear your Little Paw-Print Charm on a fabulous chain! The choice is yours, just make your selection below and add to your basket.